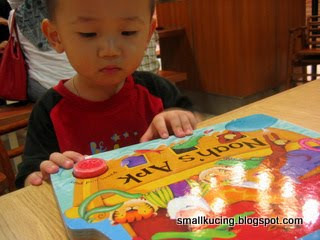 Last week we went to 1Utama to "jalan-jalan". 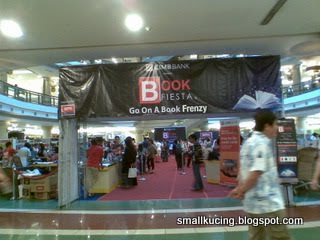 And hey...what you know...came up from the parking straight walked into MPH Book Fiesta. Mamarazzi bought only one book for me coz she know the next day was BookXcess new opening. Thus saving the buying frenzy for the next day. Moreover the offer here was not that good. Then Mamarazzi wanted to look for Guardian Clearance sale at The Bargain Corner. Mana tau sesat into a jungle pulak. I know Auntie Alice blogged about it before but we didn't know where exactly the location. Papa said next time we will go down there and explore. Meantime, Mamarazzi found the Bargain Corner. As for the Guardian Clearance sale...not much offer. 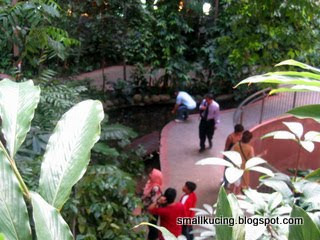 Well, the good news is we have finally found the lovely jungle at 1Utama. Will definitely go back and explore some more. hey..didnt know about the hutan in 1U too.. anyway, one whole afternoon also cannot finish walking.. next time must go much earlier.. good that u have explored the jungle and let us know..
Nice jungle ;) Btw, $miled. Hahahahahaha!!! See your face, so disappointed! So funny!!! LOL!!! Didn't know there is a Bargain Corner at 1U. Near to where ar? I know about it from Alice Phua's blog but didnt know exact place. Can tell me where is the Forest again ah? I blur liao. Hope can find it again next round. At High Street or what ah? 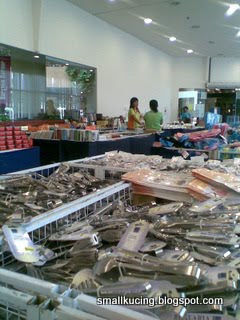 what to do...price so expensive...only 10%-20% discount only. I know it's at the new wing but the exact spot am not so sure. Coz that day i kept asking people. They point here and there. hahahhahah...that "jungle" is my boys favourite place too. 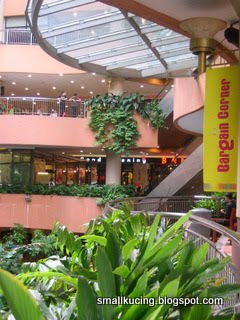 We always park the car at the below car park then take the escalator up, you will end up at the jungle place. Everytime when we about to leave my boys sure will walk at the small bridge pass the mini stream then only follow us to the car park. Oops - there's a human-made jungle at 1U ?? Long time never been IU..
Dont really know where is the parking. Normally will come out at the main court . Your boy boy had so much fun following you around! If I'm staying at Kl, I'll do the same! hahaha... Even my kids can not compete with me! i like to go to 1U too. i enjoy the food there. Ehhh... I seldom go to 1U unless if there was any special event. 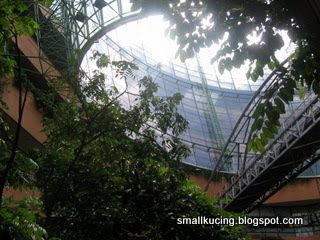 The Secret Garden I think Alice Phua of Juan Or and Mommy has blogged about it early on. Wah, so nice, every week go jalan jalan, uncle can tag along or not? LOL! Yes, i saw it in Juan Or's blog also a few months back. But didnt know the exact location. 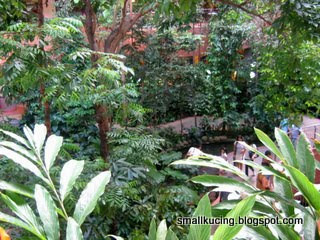 You didn't know there's a mini jungle at 1U ah..hehe. We seldom go to 1U...also discovered the jungle by chance..haha. Yes, the jungle is lovely. A quick getaway from the busy shopping crowd. I love to watch the school of koi swim in the ponds. They are simply hypnotic. Did you know there is also a botanical garden at the roof top? But that's probably good to explore in the evening or on a cloudy day, coz at the moment, it's too blazing hot during the day. paiseh lor..seldom go there too. The Secret Garden is much nicer. After you've been there, this hutan is nothing lor hehe... next time remember to hunt for it ok!